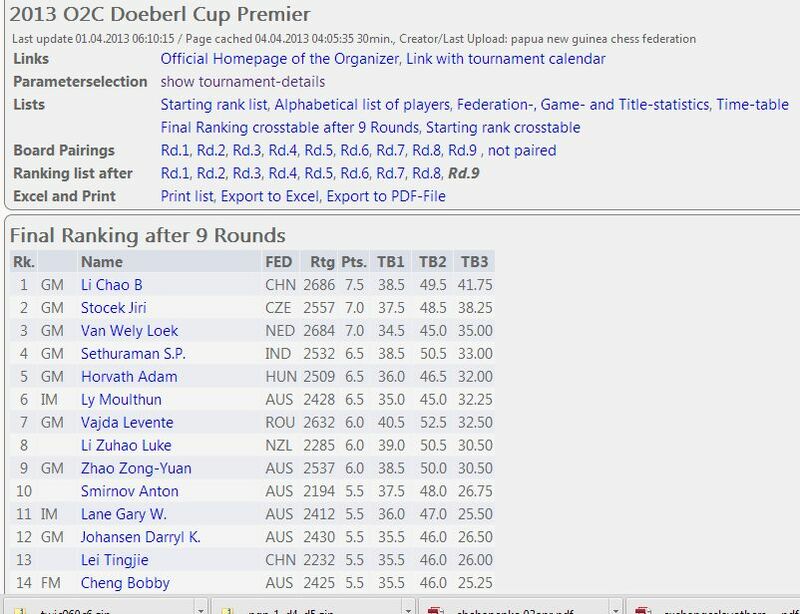 Traditionally this time of year, Australian chess gets together to organise two back to back events, the long standing Doeberl Cup in Melbourne from 28 March-1 April 2013 which is followed by the ongoing Sydney International Open from 3-7 April 2013. The circus has moved on since to Sydney where Malaysia is also represented! 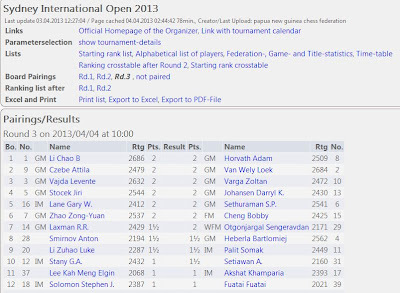 As you can see from ths snapshot of the pairings from round three, a Lee Kah Meng Elgin is listed, and what is not shown due to limitations of my screenshot taking software and personal tech limitations, is his young brother William Lee Kah Howe who is on the same score but playing a bit further down on board 21. Their even younger sibling Kah Teng Benjamin Lee is very sensibly playing in the Challengers. Clearly the Lees are on their usual family holiday! 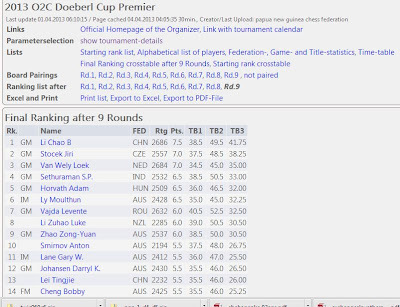 A side note: In both the tournaments I also noticed a Justin Tan, who if I remember correctly, was one of our young talents who migrated early to Australia. 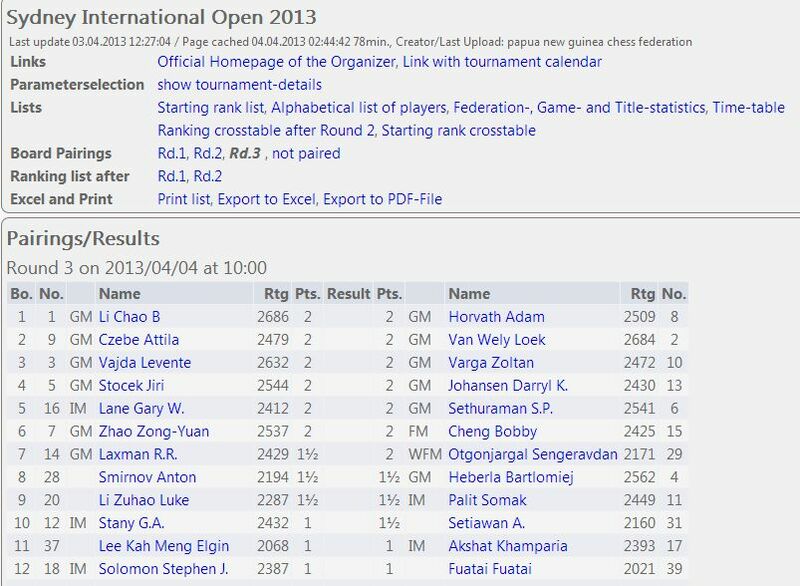 He seems to be doing as well down under as well as any of our young Malaysian players and perhaps even has a better rating!